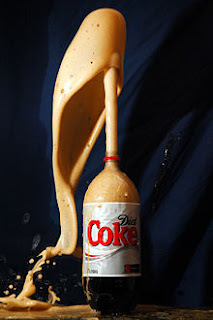 If you've spent more than 5 minutes on the internet, I'm sure you're familiar with Diet Coke + Mentos. More specifically, what happens when you drop the latter into a bottle containing the former. What you may not be so familiar with, though, is why this happens (and how you can apply it to baking). You're probably wondering by now what on earth this has to do with bread. Well...a lot, actually. Now of course I'm not going to tell you to put Diet Coke or Mentos in your bread - that would just be silly. And gross, and messy. But you do already put something into bread which creates carbon dioxide: yeast produces this gas as part of its metabolism, and the bubbles that form help create that wonderful airy, open-crumbed texture of rustic bread. That texture - or rather, the lack of it - was probably the first thing you noticed when you tried gluten-free bread for the first time, too. Gluten, as you know, is stretchy - when gas bubbles form as gluten dough rises, the elastic network stretches, like a balloon, and does not collapse when steam further expands these bubbles in the oven. 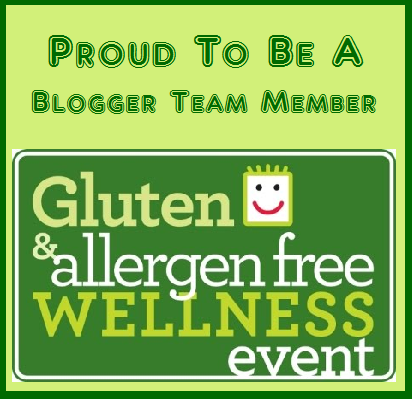 The binders we use in gluten-free bread, though, are not as strong or as stretchy as a gluten network. Combine that with the fact that gluten-free breads tend to retain more liquid, and you can probably see why the bubbles seem to sort of collapse, resulting in a small, dense loaf. Try to imagine blowing air into a balloon. It's hardest when you first start, right? That's when you have the highest resistance to push against. It's a similar situation in the dough: the bubbles start out very tiny, with very little surface area, and a lot of pressure from the surrounding dough pushing in from all sides. 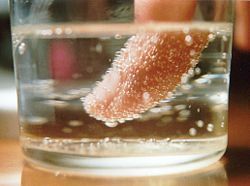 If adjacent bubbles combine to form one larger one, though, it can withstand the pressure a little bit better - and in the oven, it is easier for water to turn into steam in an area that's already filled with air than when it's surrounded by water. This also means that if steam expands where there's already a bubble, that bubble becomes bigger (if the dough hasn't "set" yet). Steam formation from water in the dough actually has a much bigger impact on expansion than the air bubbles alone. Yeast is not the only way we can get these bubbles, though. Baking powder produces gas too - in the case of double-acting baking powder (which is what I use), there's actually an initial chemical reaction and then a second, heat-triggered reaction which occurs in the oven. By rolling in the baking powder right before the final rising, I'm providing extra "starting points" for bubble formation - ultimately making it easier for bubbles to expand and hold their shape both during the final rise and after the bread is in the oven. This results in a loaf which is larger, less dense, and also lighter, because more water was able to "escape" in the form of steam. In the picture at the very top of the page, you can see the split along the top of the loaf from where it expanded during baking. And in the one below, you can see the holes in the crumb of that same loaf (you may also notice the seam from where I rolled up the dough, a possible sign that slightly more water is necessary). 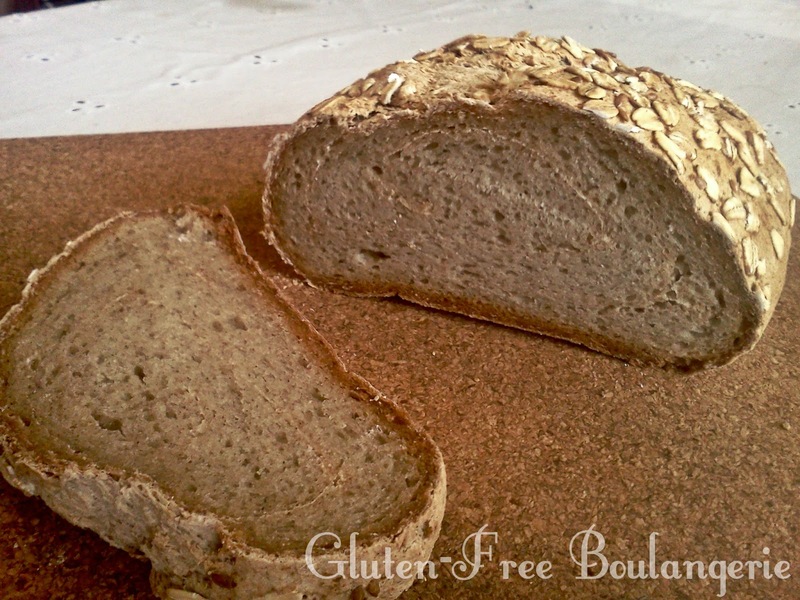 This bread is, of course, 100% gluten-free - but it's also free of the major food allergens (making it vegan by default as well). But it looks like real bread, right? Well, that's because it is. 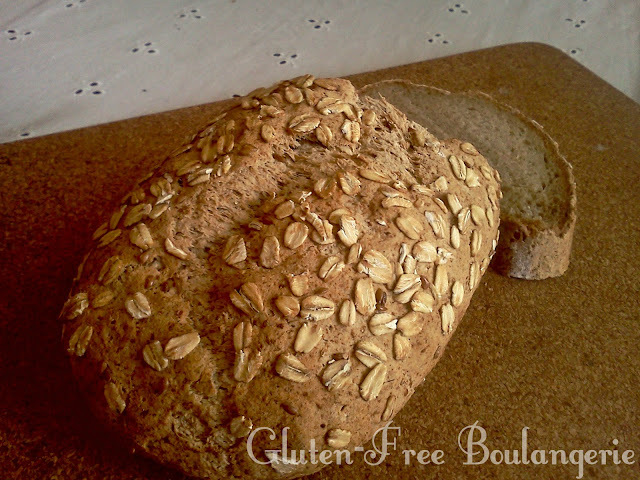 Real bread, gluten-free. You don't need eggs to get this kind of rise in a gluten-free loaf...just a bit of science! WOW!!!!!!!!!!!! You just blew my mind!!!!! Hi Meg, is just to add baking powder into the dry ingredients? Where is the recipe for the beautiful bread pictured here?